In an open adoption, birth parents typically have some degree of contact with adoptive families. But “open” can mean different things to different people, and the degree of openness depends on the birth and adoptive parents’ previously agreed upon arrangement. 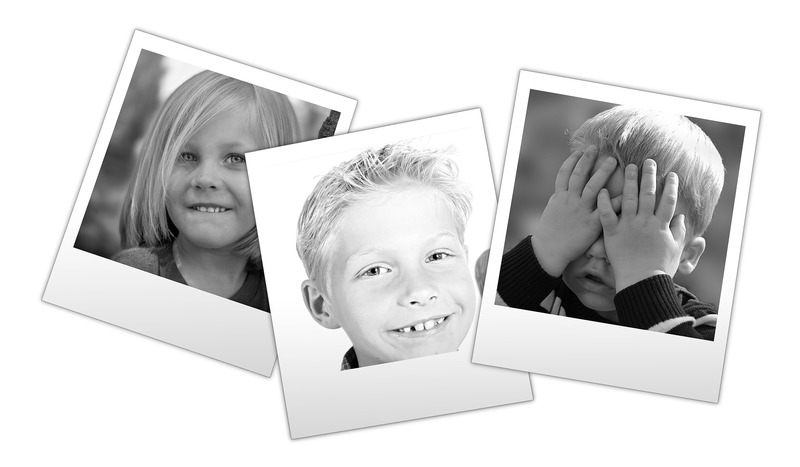 The most common such arrangement in an open adoption is the regular exchange of pictures. The birth mother may send pictures and letters to her child and the family, and the family will often send pictures and letters to the birth mother. Sometimes the agency will be the middleman for these communications. Other times the birth mother and adoptive parents will arrange their communications and will determine how much involvement they want to have in each other’s lives all on their own. This simple gesture has a profound and meaningful impact on the lives of all involved – the birth mother, adoptive parents, and child. Regardless of how much time – years, months, days, or even hours or minutes – a birth mother spends with her child after they were born, birth mothers are, and will always be, a part of their children’s identity. Pictures and even letters can have a huge impact on a birth mother, allowing her to feel connected to her child and constantly reassure her that she made the right decision. Tell the Whole Story: Remember, the birth mother chose your entire family. “Include pictures not just of the child by themselves,” says Downard. “You want to show what a full life your child has. Help illustrate that with photos of family, friends, school and community, not just the child alone.” Be sure to include a variety of photos as well: school portraits, photos of your child playing sports, holiday pictures, and any other activities the birth mother would enjoy seeing. Don’t Feel Limited. While your agreement may specify a minimum number of times you are supposed to exchange photos, don’t feel limited. “Remember it’s ok to send packages more often,” says Downard. Hard and Digital Copies: In today’s information age, it may be quick and easy to send photos via email, but many birth mothers still prefer having hard copies. So, consider sending photos in both formats. Photos of the Birth Mother: You can also “ask your child’s birth mother to send you photos, letters or other items, if she’s comfortable doing so,” explains Downard. But remember – regardless if you ever receive any communication back, you can be sure that birth mothers are grateful and excited to receive pictures. “American Adoptions — America’s Adoption Agency.” Picture and Letter Correspondence with Birth Parents, www.americanadoptions.com/adopt/pictures_letters. Dischler, Patricia December. “10 Things Every Birth Mother Wants Adoptive Parents to Know.” 10 Things Every Birth Mother Wants Adoptive Parents to Know | ALP Blog | Adoption Learning Partners, www.adoptionlearningpartners.org/blog/posts/2013/12/10-things-every-birth-mother-wants-adoptive-parents-to-know.cfm. “Honoring Your Child’s Birth Mother.” Lifeline Childrens Services, lifelinechild.org/honoring-your-childs-birth-mother/. “OPEN ADOPTION.” Adopt Us Kids, www.adoption101.com/open_adoption.html. “Tips for Sending Picture Updates to the Birth Family.” A Is 4 Adoption, 10 Feb. 2017, www.ais4adoption.com/blog/adoption-agency-ca/tips-for-sending-picture-updates-to-the-birth-family/. This entry was posted on Friday, December 1st, 2017	at 11:18 am	. You can follow any responses to this entry through the RSS 2.0	feed. Both comments and pings are currently closed.